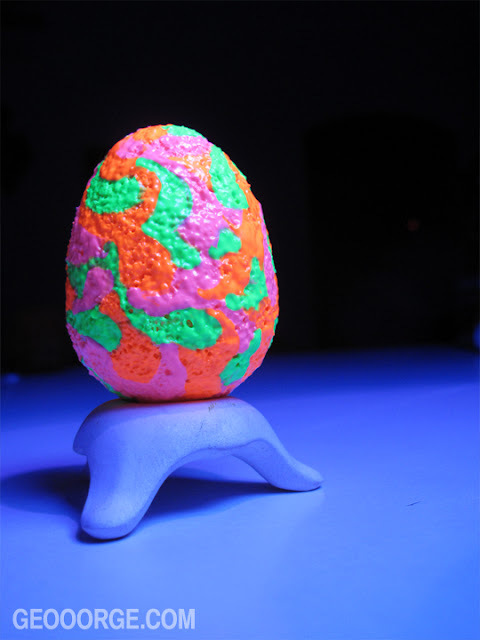 You are used to seeing all of the eggs in natural light, but for this one I had to drag out the black light to get the paint to glow exactly how I wanted it to. Something I didn't expect was for the t-shirt paint to eat away at the styrofoam. It ended up giving the egg a really nice texture though. Enjoy!